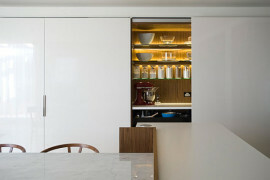 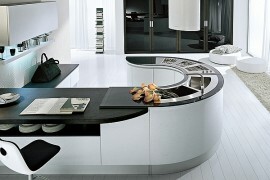 Contemporary kitchens have grown way beyond being mere spaces where one prepares meals for the family. 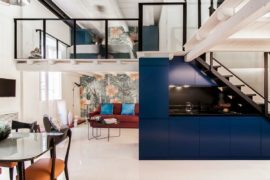 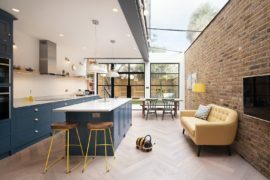 They are often the heart and soul of the open-plan living area and fill it with a wonderful array of textures and patterns that elevate the appeal of the space. 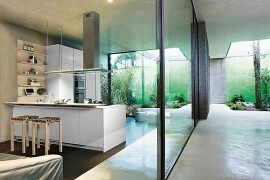 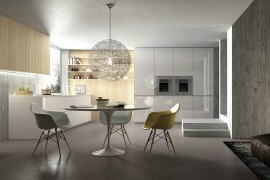 Revolutionizing the way you look at modern kitchen designs is the fabulous Logica from Valcucine. 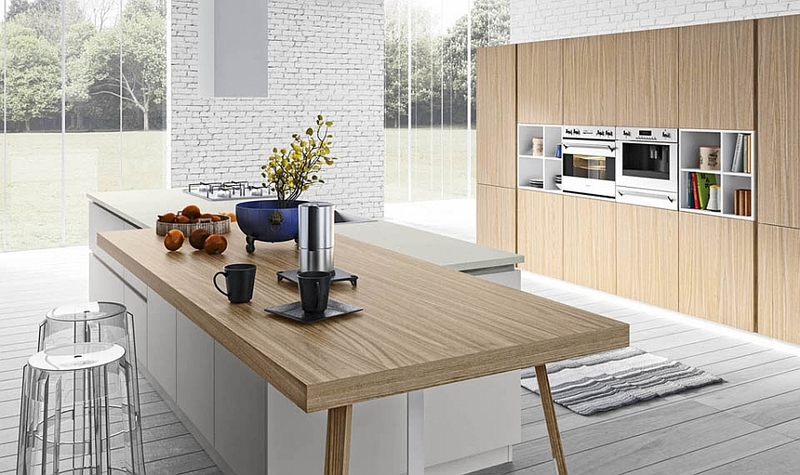 The versatile kitchen system easily adapts to the various demands that your busy urban life places on it, all the while offering stylish space-saving solutions. 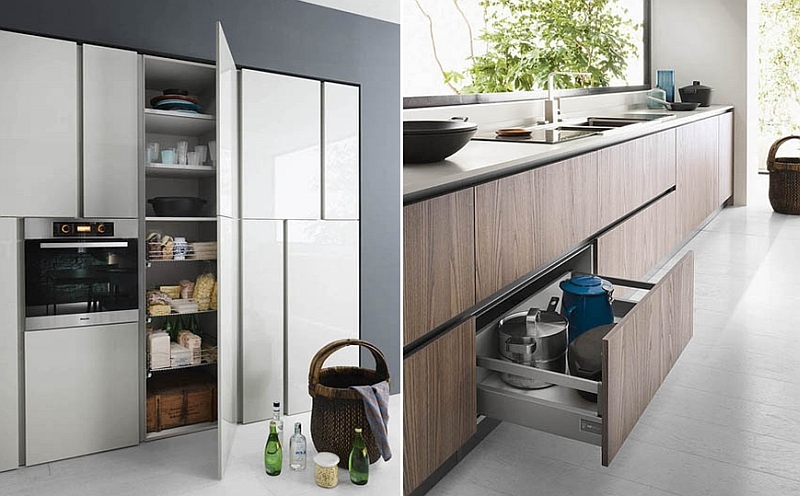 With ergonomic shelves that save precious foot space and wall-mounted cabinets and appliances, these kitchen compositions maximize efficiency. 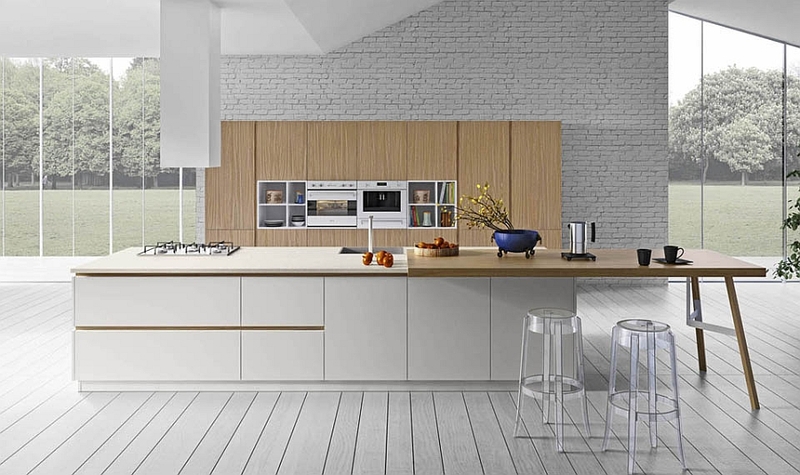 Designing the kitchen of your dreams will now be easier than ever before, as Logica allows you to blend a variety of shelves, kitchen islands and worktops to craft a kitchen that fits the specific floor plan of your house. 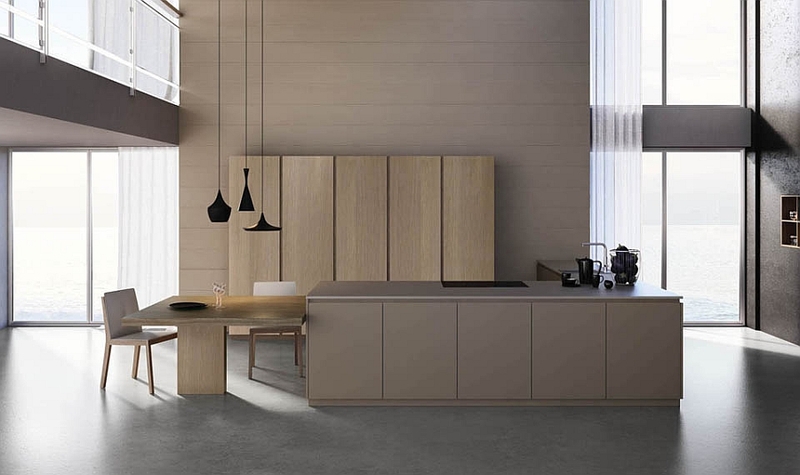 The wide array of finishes also ensures that the kitchen seems like a natural extension of the living and dining area with its matching hues. 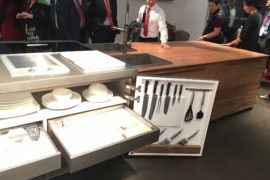 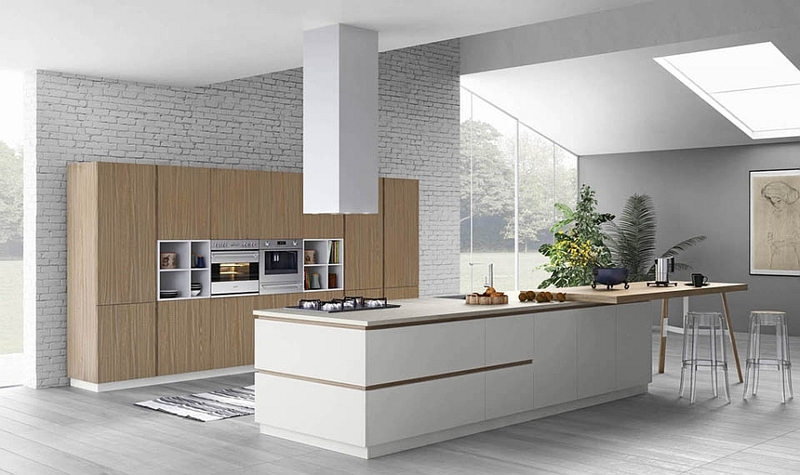 One of the most impressive features of the kitchen is the way that it can conceal almost any appliance, kitchen equipment item or utensil with effortless ease. 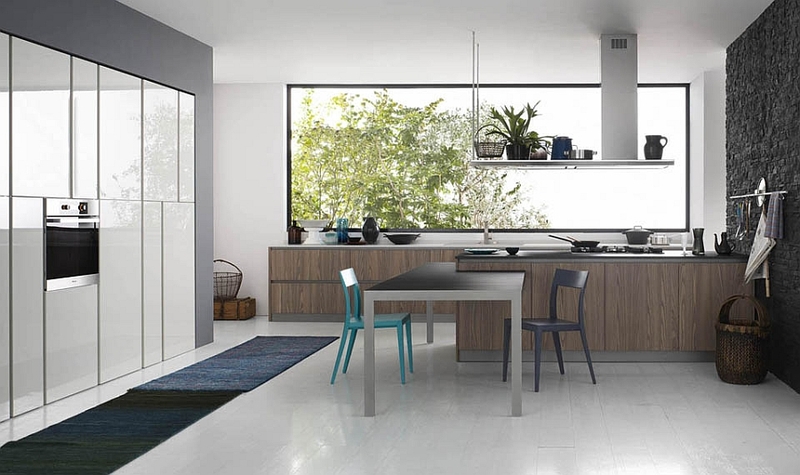 This gives the urbane kitchen an organized, clutter-free look. 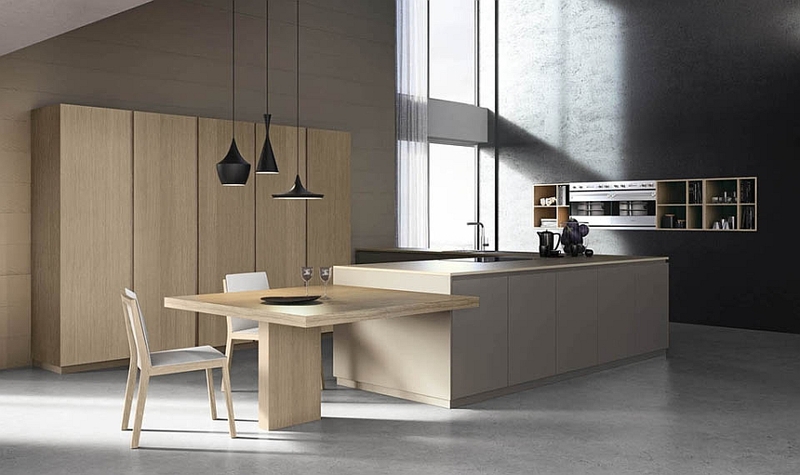 The minimal style of the kitchen is combined with the wonderful use of wood to give it an inviting, friendly vibe. 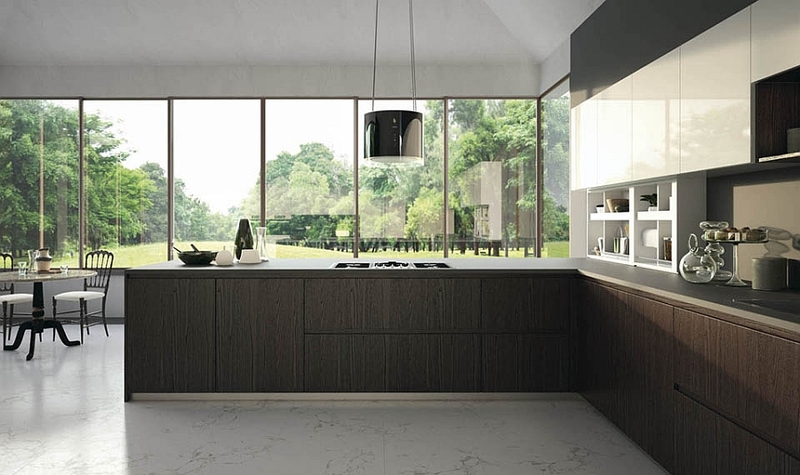 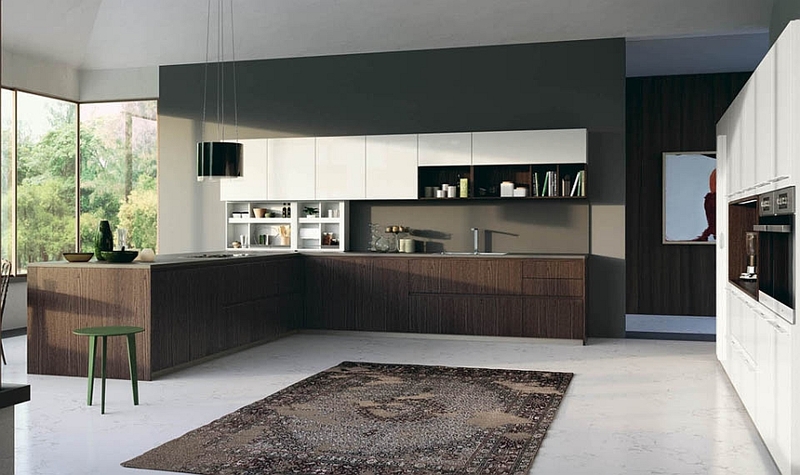 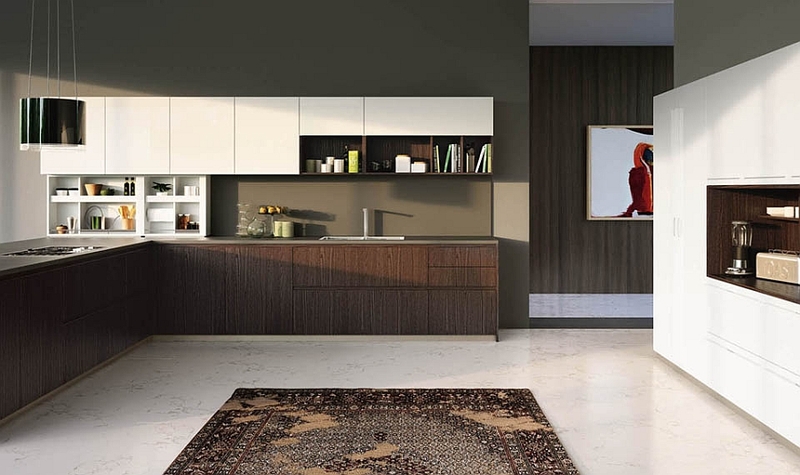 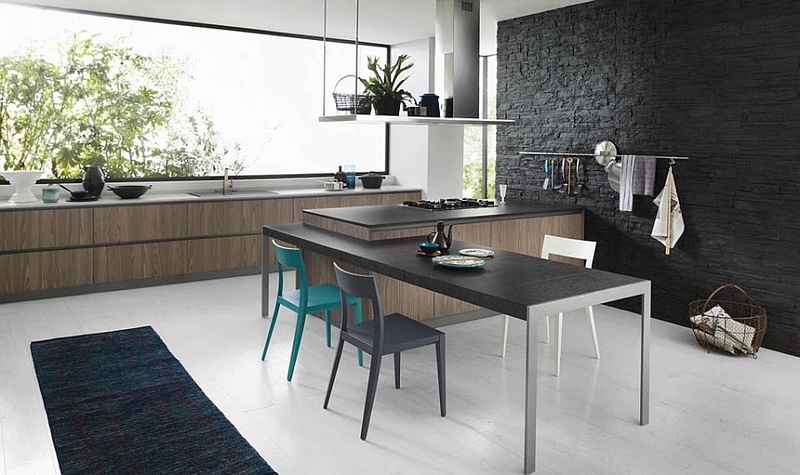 Yet the unmistakable Italian flair in design is not lost, as each composition tempts even a novice to spend some time in the kitchen while exploring the many features of Logica. 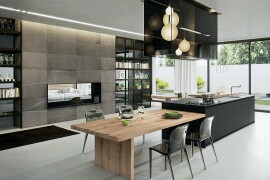 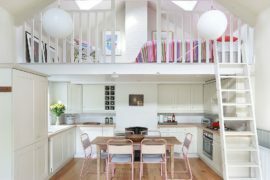 25 Kitchens Connected with the Backyard: Space-Savvy Trend that is Here to Stay!